Coyote Hill Christian Children’s Home was founded in 1991, by Larry and Cathy McDaniel, along with an active Board of Directors. Larry and Cathy’s experience in foster care led to a realization that there was a tremendous need for a professional home of love that was able to address the social and emotional issues, in addition to the physical ones of food, shelter, and clothing. Behind it all was their faith in Christ, and that foundational Christianity is still modeled and valued by our staff today. In September of 1993 Cathy was diagnosed with extensive cancer. When she became unable to continue to serve as a Home Parent, other Home Parents were hired on a full time basis. Cathy passed away on November 21, 1994. 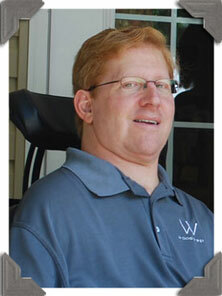 Larry still serves as the Executive Director today. In July of 1997, the first new home was completed, designed and built according to Missouri state licensing regulations. The 5300 sq. ft. facility was designed especially for working with children in need of A Safe Place to Be a Child. This home was named Cathy’s Home. Coyote Hill is located on property donated by Mark and Laurene Zimmer. 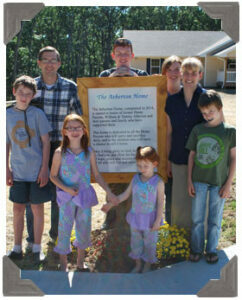 In the fall of 1999, a second home was completed, named and dedicated in honor of Mark and Laurene and their family; The Zimmer Home. Mark and Laurene’s vision for Coyote Hill and their heart for God’s children blessed us with not only our property and a beautiful home for children in need; but also with a grace that abounds towards all who are a part of Coyote Hill. Mark passed away in January of 2018. The impact of Mark and Laurene’s incredible heart for children and families through their strong support of the mission of Coyote Hill will be felt for generations to come. A third home, known as the Hubbell Home, was completed in September of 2000. Built in honor and with the generous support of Ira and Gail Hubbell and their family, this home has been a wonderful addition to our ministry and service to families. Ira and Gail shared a commitment to give children a place to grow, learn, to love, to play . . . A Safe Place to Be a Child. Gail passed away in November of 2013, and Ira in January of 2018. Their legacy of service will forever live on in the Hubbell Home. The compassion they brought and the value they added to Coyote Hill will continue to be a blessing to all who are touched by this ministry. The Wright Home was completed in April of 2011, and dedicated in honor of Forrest “Bud” and Marjorie Wright by their sons, Bentley and Hartley. Bentley, a long-time supporter and friend of Coyote Hill, passed away in January of 2013. Bud and Marjorie’s lifetime of service to others is reflected in their sons’ giving to the next generation and many more to come through the Wright Home. May this home be a place where all good things are woven into the lives of countless children who will then grow up to have a life that is full and complete. Thus, our fifth home, The Atherton Home, is named in honor of Bill and Tammy Atherton and their parents & family who have supported them. The home is dedicated to all the future Home Parents who will serve and sacrifice daily, and to the children who will have a chance to call it home. May it bring glory to God, be a place to find rest, and allow for the development of hope, peace, and success in the lives of all who will live and serve here.